Designed to give you the Low Rider advantage, Camelbak's M.U.L.E. LR combines the storage and features of your favorite M.U.L.E. pack with a lumbar reservoir based design that offers more stability on technical terrain. Low Rider packs shift the load from your shoulders to your hips for a lower center of gravity and more freedom of upper-body movement. The M.U.L.E. 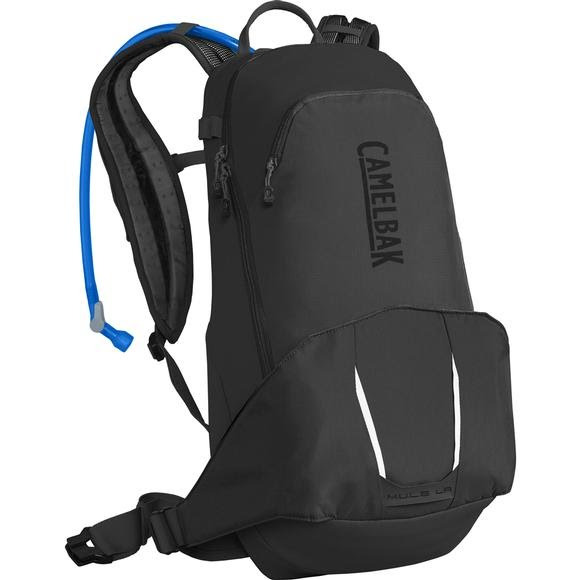 Designed to give you the Low Rider advantage, Camelbak &apos;s M.U.L.E. LR combines the storage and features of your favorite M.U.L.E. pack with a lumbar reservoir based design that offers more stability on technical terrain. Low Rider packs shift the load from your shoulders to your hips for a lower center of gravity and more freedom of upper-body movement. The M.U.L.E. LR is built around our top-of-the-line 3-liter Crux lumbar reservoir that delivers more water per sip. The flip down reservoir compartment also houses the tool roll and rain cover, so repair and weather essentials are always within quick reach. Additional storage on the harness gives immediate easy-access to essentials without removing the pack.